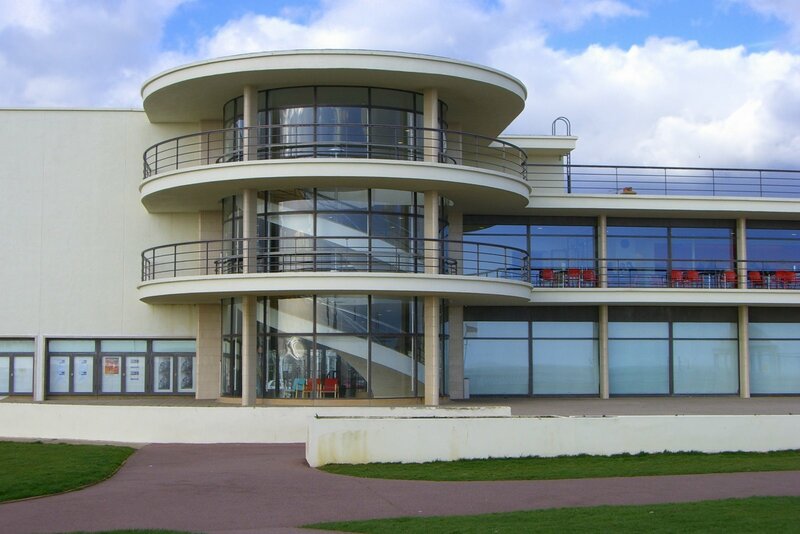 Some of us from the AV Lab are returning South for a series of installations at the breathtaking, Grade 1 Listed, Modernist De La Warr Pavilion this Saturday 22nd. If you happen to be passing through Bexhill-On-Sea and have an insatiable curiosity for experimental AV you’ll also catch Gavin Morris, Barry Murphy, Shaun O’Connor, Kristi Markiewicz and Sabine Vogel performing live beside the seaside. Persephone was the goddess of Fertility in Greek myth, abducted by Hades and smuggled down to the Underworld to take the throne as his wife. Winter raged while she was gone, so Hades would allow her to visit the mortal’s realm annually, restoring the warmth and life of Summer to the world once a year. In one myth, a mortal, Orpheus, loses his tree nymph (or Dryad) wife, Eurydice, when she steps on a poisonous snake. Devastated, his music grows so hauntingly sad that all the nymphs and gods weep with him. They urge him to make the dangerous and near-impossible journey through Hell to bargain with Hades and Persephone for the return of his wife’s soul. Upon hearing his tragic music, Persephone takes pity on Orpheus and offers him a chance to return home with Eurydice, bringing her back to life. He may walk out of Hell with his wife following; but, Persephone warns him, he must not look behind him, not even once, or Eurydice will be lost to him forever. If he trusts her word, she promises him, his wife will live again. Orpheus makes the long climb out of the Underworld, but just as he nears the surface, he can’t bear the tension any longer and turns around to check his wife is still behind him. He sees Eurydice for just a moment, before she disappears and the entrance to Hell closes. This version of the story belongs to the poet Virgil’s time, around 29BC, but in Plato’s later version Eurydice’s soul was just a mirage, a cruel trick of the Gods all along. The marble bust of Persephone went missing shortly after it was finished and has never been found. In ‘Plinth’, Orpheus and Eurydice’s journey is told using the shapes and surfaces of the Pavilion, with the journey beginning at the point where Persephone would have stood and leading to a conclusion on the roof terrace. Audio recordings made in the building using a variety of sound-capture techniques and digital manipulation are triggered and played back using automatic sensors which pick up on changes in the space as the audience moves through it, led by light-projected Modernist animations designed exclusively for the De La Warr audiovisual performance and projected wirelessly from two performers, each equipped with a wearable projection system. 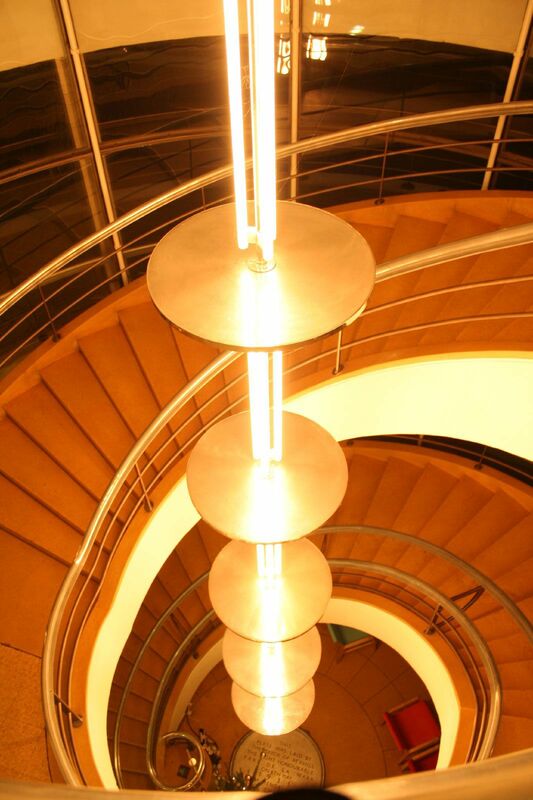 By bringing this story to life as a digital sculpture, with the Pavilion its plinth, the audience can experience an alternate take on the finishing touch that Erich Mendelsohn and Serge Chermayeff never realised. This entry was posted on November 21, 2008 at 9:51 am and filed under Live Gigs,Upcoming Gigs. You can follow any responses to this entry through the RSS feed.